KUBORAUM Pulled from Spectacle Featured in the Latest Issue of FLARE Magazine! Part of what I do as a frame stylist at Spectacle is work with other stylists or those in the media industry that seek guidance in picking the perfect eyewear selection(s) to best suit their photoshoot concepts and models. Also known as, 'stylist pulls.' For instance, Spectacle was recently contacted by FLARE Magazine to pick a few frames to go with their "The Artist-In-Residence" photo spread. One of the brands chosen was KUBORAUM, an eyewear brand from Berlin, and the model is "Mask K12." 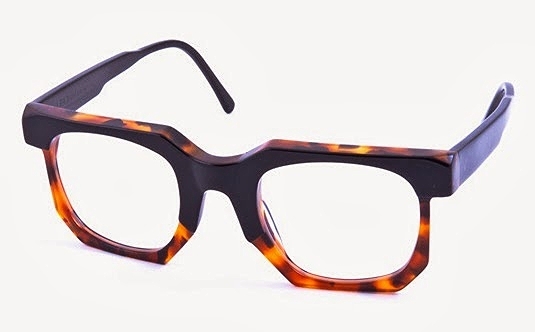 The K12 by KUBORAUM is an oversized optical style frame that comes in both Tortoise and Black colorways. KUBORAUM is currently available at Spectacle's flagship boutique on Queen St. West. KUBORAUM is a line best known for their bold, impact-making eyewear models in both eyeglasses as well as sunglasses. Drop by Spectacle soon to check out the entire collection! The April issue of FLARE Magazine is on news stands now.